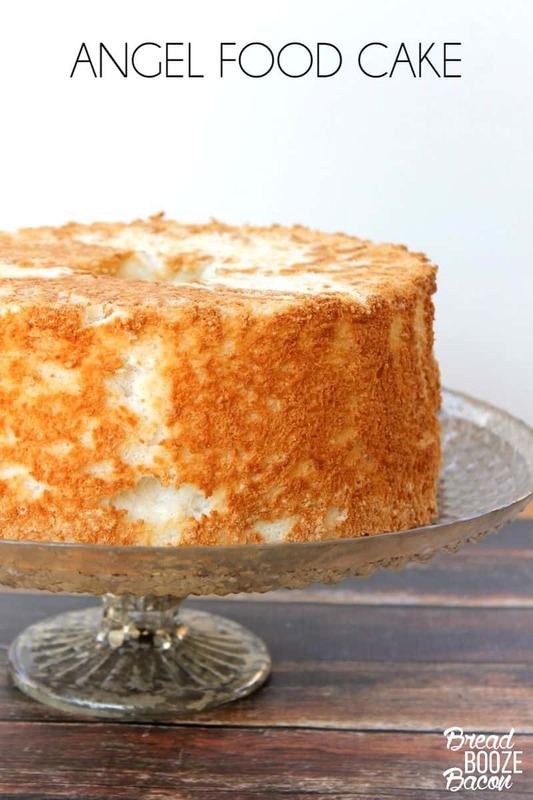 Homemade Angel Food Cake is easier than you think! This recipe comes out fluffy and perfect every time. 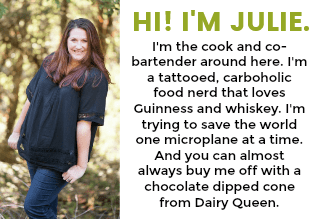 It’s a great recipe to make for any occasion. My husband Mike gets these cravings. His sweet tooth is incurable some days and 9 times out of 10 if he asks me to bake something to give him a fix, it’s this cake. It’s his weakness and our kids are lucky he loves them enough to share. But Mike takes things a little bit further. Growing up Mike’s dad would request angel food cake frequently, sharing with Mike, but he would always have Mike’s mom slather the cake in a can of vanilla frosting. Dyed pink. Mike isn’t one for pink frosting, so I just use it straight up, but it takes this fluffy sweet cake to a whole other level…and makes him super happy. And I love to make him happy. 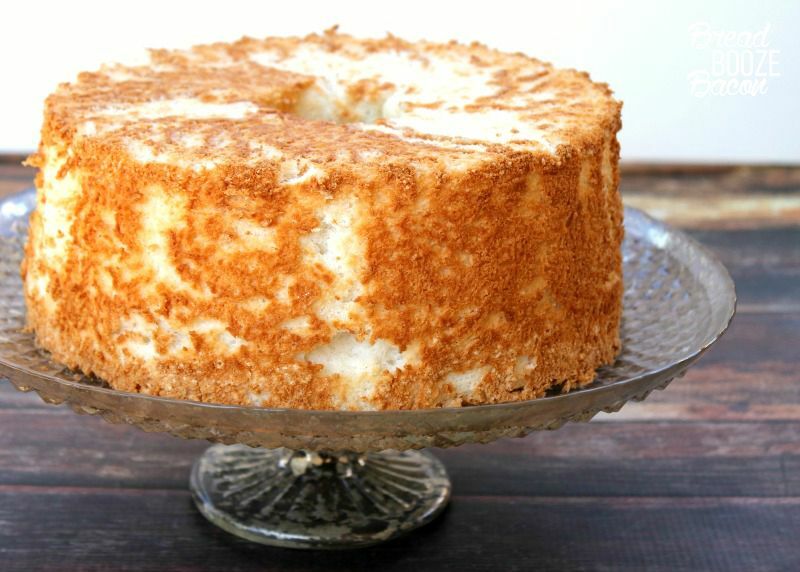 So here is Mike’s favorite angel food cake. I went to my guru off all things food, Alton Brown, to learn how to make it and you will not be disappointed kids. This cake is worth the effort! 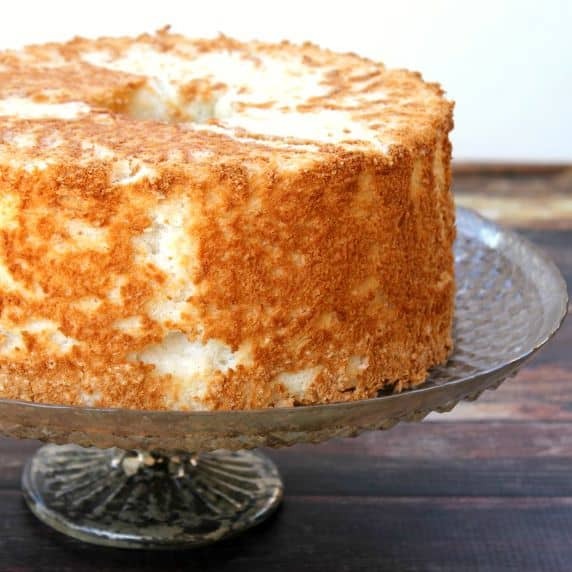 Homemade Angel Food Cake is easier than you think! This recipe comes out fluffy and perfect every time. It's a great recipe to make for any occasion. In a medium mixing bowl, combine half of the sugar with the salt and cake flour. Once you have achieved medium peaks, sprinkle enough of the flour mixture to dust the top of the fluffy egg whites. Using a rubber spatula to gently fold in the flour mixture until almost fully incorporated (no over folding here kids!) Repeat, working in batches, until all of the flour mixture is incorporated into the egg whites. You want to mix in the flour in as few folds as possible. Carefully spoon mixture evenly into an ungreased tube pan. Bake for 35 minutes. DON'T open the oven at any point while the cake is still baking! Check that the cake is done by inserting a wooden skewer into the cake halfway between the middle tube and the outer wall.. Cool upside down in the pan on cooling rack for at least an hour. Run a knife around the outer wall of the pan to release the cake. Then run the knife around the center tube and under the cake to finish releasing the cake from the pan. If desired, coat the angel food cake with an entire can of vanilla frosting. Make the whoel can fit, by any means necessary. If you don't have any cake flour on hand you can substitute 1 cup minus 1 tablespoon all-purpose flour + 1 tablespoon cornstarch. Sounds great going to try tomorrow. I have so many eggs and need to use them.